The study of small craft in North Carolina heightened during the 1980s primarily through the efforts of two state agencies, the North Carolina Maritime Museum (NCMM) and the North Carolina Underwater Archaeology Branch (UAB). As their involvement progressed each group realized that they were dependent on the other. Professionals at the museum who were trained in marine architecture and the history of local boating evolution were not experienced nor had the equipment to investigate the majority of historic boats that survive today since they generally exist in a submerged or semi-submerged environment and a deteriorated state. The reverse is true of the state underwater archaeologists; their expertise lies in recovering data from inundated finds but they often find themselves inadequately trained to work on specific classes of finds that may be encountered under the water. Therefore, through cooperative ventures and a series of workshops (involving professionals throughout the state involved with underwater archaeology and maritime history), staff members from these two agencies, have developed this management plan for North Carolina’s small craft. 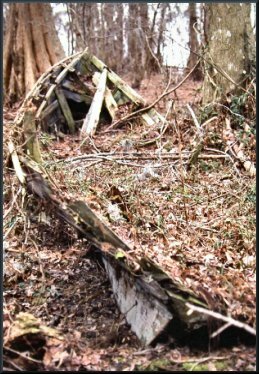 Its aim is to help researchers working in the state identify North Carolina-built small craft and their ages, promote consistency and clarity when describing them, and determine their relative significance, leading to efficient ways to best manage each, particularly when threatened by destruction. Click here to read the full report about small craft management in North Carolina.